Educators, librarians and others dedicated to literacy often find themselves standing at a crossroads between their memories of beloved books from their own childhoods, and the reality of the harmful language, themes and imagery those books may contain. For many, it is difficult to accept that many “classic” books of the past may need to be critically re-evaluated before being given to today’s young readers. On March 2nd, we endeavored to explore this growing unease surrounding “classic” literature by inviting seven passionate and visionary literacy and literature experts to engage in conversation about the power books hold in the lives of young people, and to guide us towards embracing literature as a look towards building a better future. The day began with our first keynote conversation between literacy expert and advocate Dr. Alfred Tatum and literacy reform leader Cornelius Minor. Their shared passion for guiding young people towards becoming engaged and action-focused readers and writers was clear as they challenged each other and attendees with probing questions interlaced with thought-provoking anecdotes and plenty of humor. Dr. Tatum and Cornelius’ honest, thoughtful responses laid a foundation of respect and safety that led to a question and answer session in which attendees felt safe to ask deep questions and to embrace new knowledge and ideas. We moved on to a practioner’s panel moderated by Research Librarian and blogger Edi Campbell. Our panel included Cornelius Minor, Kimiko Pettis and Jessica Lifshitz. Through Edi’s carefully considered questions, panelists shared their personal and professional experiences using—or being required to use-- “classic literature”. They also discussed the ways they restructured their teaching and curricula to confront dated and damaging text and to adopt alternate selections to empower their young readers. The morning ended with Dr. Robert Moorehead giving a brief “big picture” talk about the social, political and historical context of works of “classic” literature. His talk also encouraged attendees to consider the role of whiteness and systemic racism when encountering racist/prejudiced language and themes in older books they may still be required to use. -How do I Face Whiteness and White Fragility? The day wrapped up with our second keynote conversation between inclusive educator and researcher Kass Minor and poet, writer, and Creative Writing professor and educator Naomi Shihab Nye. The ensuing conversation grew into a bridge between the educational facets of literacy and literature, and the creative, with the overarching focus always returning to the most important part of literacy: the reader. Our event concluded with a poetry reading by Naomi. The challenge of navigating the use of problematic “classic” literature has sparked much emotional and professional debate and division among educators, literacy experts and parents of young readers. For an event such as ours, with the focus trained directly upon the challenges of “classic” literature, one might have expected this controversy to appear. Instead, attendees were invited into a safe space where they could consider the lived professional experiences of our speakers, ask honest, difficult questions and feel free to engage in discussion and debate. Thus once again we find ourselves where we have been after many of our previous institutes: reflecting upon the community-building power of creating safe, collaborative spaces where people can learn, share ideas and engage in meaningful discussion. The literacy work that we do in all our varied capacities with young people directly touches the future that we all share. It is this future that we look towards when we examine writing from the past and recognize the flaws and potential for damage that can be contained within the words. It is our continuing hope to keep on creating times and spaces where educators, librarians, creators and literacy workers can come together to examine where we’ve been, recognize where we are and meet the challenges we face in guiding our young people towards the future. Ten years ago, on June 20th, 2007, the Center for Teaching Through Children’s Books presented an institute entitled “INDIVISIBLE: Teaching for Social Justice through Literature for Children and Adolescents”. The full day event featured talks, workshops and seminars by notable experts in the fields of education, librarianship and social justice. Topics spanning issues of poverty, gender identity, sexual orientation, civil rights and racism were all explored through the lens of children’s and adolescent books. As the ten year anniversary of the original “Indivisible” event drew near, we reflected upon some somber realities—that as a nation and a world we still wrestled with the same social justice issues and that we were still striving for respect and equality. Thus we commemorated our continuing commitment to social justice with this year’s October 14th institute: “Indivisible 10 Years Later: Conversations in Social Justice Through Children’s and Adolescent Literature”. Our day opened with a riveting and starkly honest conversation between our keynote “conversationalists” award-winning author Kwame Alexander and literacy reform leader Cornelius Minor. Together they set a challenging and action-oriented tone for our 100+ attendees that resonated throughout the day. They also laid the groundwork for our overall focus on engaging with the day’s issues through active conversation rather than classic lecture-style, maintaining a shared commitment to creating a safe space together where honest questions and sharing could take place. Using children’s and adolescent literature as the lens through which the various breakout session topics were viewed, attendees were able to dive deeper into specific facets of social justice, engage in conversation and embrace the inherent challenges and points of vulnerability. At lunch break attendees were treated to a Skype visit by poet Janet Wong, who shared her own perspectives on social justice followed by a reading of several of her poems. The afternoon panel, “Reading, Responding and Resisting: Anti-Racist Advocacy in the World of Education, Librarianship and Children’s & YA Literature” narrowed our focus more closely upon the benefits, challenges and set-backs in wielding literature as an agent for change. Mediated by Deerfield Public Librarian and “Reading While White” contributor Elisa Gall, our panel offered diverse perspectives and a breadth of experience and knowledge including Research Librarian and blogger Edi Campbell, Associate Professor in MLIS and author Sarah Park Dahlen and Boston University children’s literature lecturer and researcher Laura Jiménez. Together they informed and challenged our attendees across a broad range of social justice issues, drawing powerful example from their own experiences and across the breadth of children’s and adolescent literature. We began the day committed to using conversation as the primary vehicle for engaging with social justice issues and children’s and adolescent literature. Sparked and modeled by our keynote conversationalists Kwame and Cornelius, our attendees took up the challenge and in doing so, became agents of their own learning. At each break time and through lunch attendees could be heard actively discussing social justice topics raised by speakers and breakout session leaders. Many attendees actively sought out speakers for further clarification or simply discussion. Herein lies the deeper value in engaging with issues in social justice that affect our lives so deeply: in creating a safe space to share our wisdom and ideas as well as our weaknesses and uncertainties we are creating communities of trust and honesty. There is nothing easy about guiding our young people towards a better future, nor towards educating ourselves away from stereotypes, prejudice and intolerance. It is our hope to offer more events and spaces of learning and sharing such as this, where educators, librarians and anyone committed to guiding young people can gather to find ways to use the power of our stories to teach and inspire. Social Media is increasingly the communication lifeblood among educators, librarians and creators passionate about children, their literature, and their education. 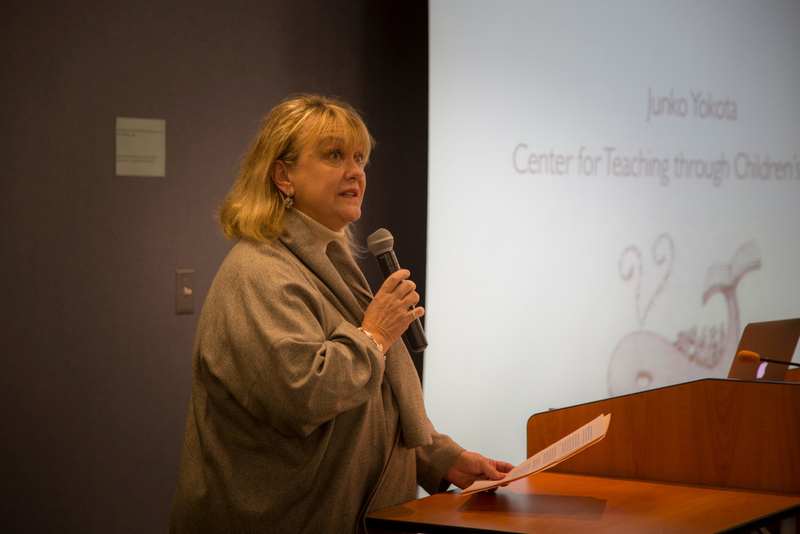 To address the growing power and influence of social media, the Center for Teaching through Children’s Books kicked off 2016 with its annual CTCB Institute with a focus on Social Media. This event, sponsored in part by the Pajeau Foundation and in partnership with SCBWI and SCIRA, brought together nine diverse and dedicated voices all speaking to the power and problems in our online lives. The event opened with a comprehensive and frequently hilarious keynote talk by Julie Danielson, creator of the “Seven Impossible Things Before Breakfast” blog. 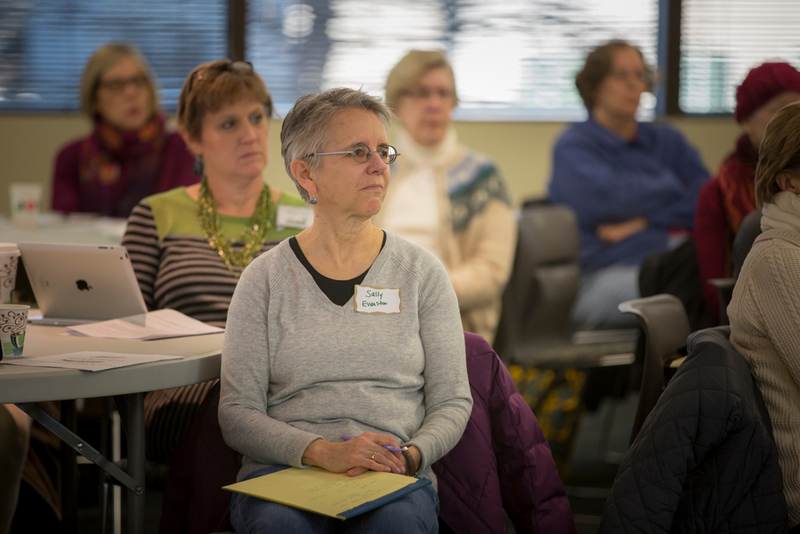 Julie offered our 60+ attendees a glimpse at the relatively brief and frequently bumpy history of social media among educators, librarians and creators. She then shared her personal highs and lows along her own social media path. Following Julie, our first panelists addressed our morning theme, “Social Media as a Creative Force.” The three-member morning panel—teacher and prolific blogger Colby Sharp, teacher, blogger and recipient of the Apple Distinguished Educator’s Award Mike Lewis, and Evanston Library Collection Development Manager, author and blogger Betsy Bird—was mediated by Andrew Medlar, President of the Association of Library Services for Children, a division of the American Library Association and Assistant Chief of the Chicago Public Library. Colby and Mike each shared examples of how they use social media in their own classrooms to connect their students with larger themes as well as with authors and illustrators—as Mike described it, “revealing the inner workings of the world of books”. Betsy expanded the talk to encompass the scope and depth of using social media in a library setting as well as the rewards and challenges of striking the balance between personal and professional life in the online public eye. The afternoon panel tackled the challenging theme of “Managing Internet Culture,” a topic mediated by Dean Rob Muller, Dean of the National College of Education, National Louis University. Our panelists represented diverse approaches to this theme: Chicago attorney Darcy Proctor, Associate Superintendent Laura Beltchenko, Research Librarian and blogger Edi Campbell and William Teale, University of Illinois at Chicago University Scholar /Director of the UIC Center for Literacy and incoming president of the International Literacy Association. Our attendees were taken on a journey that encompassed a multitude of challenges related to using social media: from legal concerns for educators and school districts to integrating social media into teacher training and preparation programs, and from ethical and social responsibility in social media for marginalized people to the changing face of professional organizations in the internet age. Each panel was followed by breakout sessions, where attendees divided into smaller groups with individual panelists and CTCB mediators. These breakout sessions proved to be valuable opportunities for attendees to connect with panelists and other attendees, by exchanging ideas in a relaxed format. Attendees were also treated to two lunch time speakers thanks entirely to social media and Skype. As attendees relaxed and enjoyed lunch, Chicago school librarians and CTCB Friends Board Members Patrick Gall and Elisa Gall interviewed the creator of the “Let’s Get Busy” Podcast Phil Bildner. Panelist Betsy Bird then dug deeper into the role of social media for creators with author Matthew Winner, adding new perspectives to our day’s discoveries. At the end of the day, however, what did attendees and panelists take away from this day, so full of divergent and at times conflicting perspectives on social media? 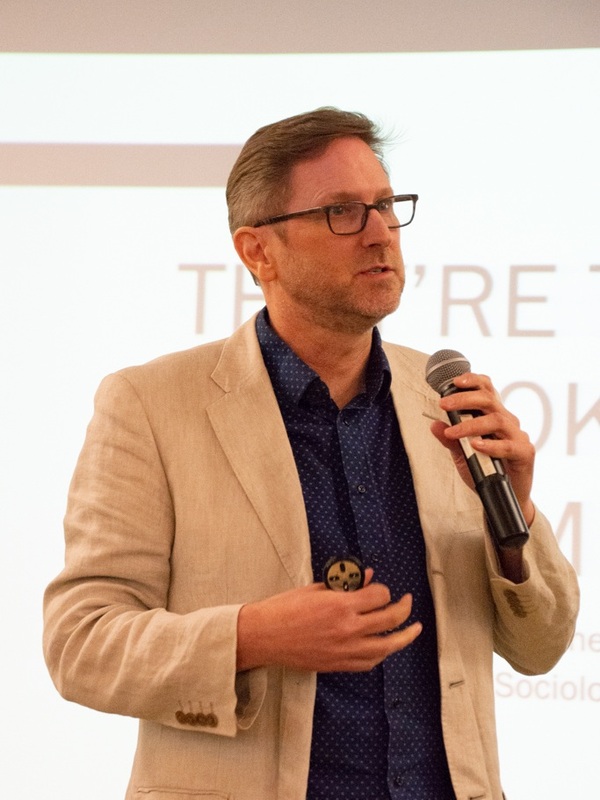 The feedback was as consistent as it was promising—that social media has far more potential to expand and deepen learning, librarianship and creating than many of those in attendance thought possible. Attendees, panelists and CTCB members made their way from today’s event actively engaged in conversation, still exchanging ideas long after the microphones and projectors had been turned off. Author Event: Welcome to Chicago, Betsy! The CTCB was proud to officially welcome Betsy Bird to the Chicago area as Evanston Public Library’s new Collection Development Manager. Our October 7th event drew friends and colleagues from around the Chicago area to enjoy a lively, thought-provoking presentation by Betsy on her new book “Wild Things! Acts of Mischief in Children’s Literature”. Copies of Betsy’s new book as well as her joyous 2013 book "Giant Dance Party" were available for purchase afterwards, with Betsy on hand to answer questions, chat about children’s literature and sign copies of her book. Afterward attendees enjoyed refreshments and discussion with colleagues. A warm and wonderful welcome to our friend and colleague Betsy Bird! On Saturday, March 7th, from 1:00 PM ­ 3:00PM, the Center for Teaching through Children's Books hosted an exciting discussion of two Suburban Mosaic Books of the Year: The Year of the Book by Andrea Cheng (Grades 2­4) and Kids of Kabul by Deborah Ellis (Middle School). 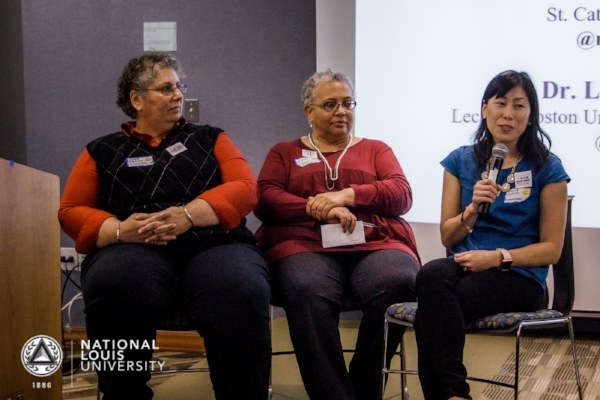 The intimate event was comprised of twenty­ five attendees: NLU faculty, librarians, teachers, and other education professionals. “The Suburban Mosaic Book of the Year Program seeks to confront issues of racial and social justice and promote cross-cultural understanding through literature" (http://www.suburbanmosaicbooks.org). Suburban Mosaic is thus dedicated to reaching a deeper understanding of the various cultures in our communities in order to reduce prejudice, racism, and the systemic marginalization of populations. Together we discussed how these titles met this mission. Marisol McDonald Doesn’t Match/ Marisol McDonald no combina by Monica Brown (Preschool Title). The program continued with discussions of the featured books, organized into three breakout groups that were led by Friends of the Center for Teaching through Children’s Books. The Friends are a group of librarians, teachers, reading specialists, and retired professionals in the field of education who are enthusiastic about children's literature and serve as a public information and service group for the Center for Teaching through Children’s Books. The event closed with attendees sharing their thoughts and ideas, and what they learned as a result of their group’s discussion. We solicited feedback on the program with an exit slip, asking 3 things attendees learned, two things they’d like to know more about, and one suggestion for improving the program. “Keep it the same, it's perfect!" "Have more discussion groups such as this." The event was a huge success and we hope to host more book discussions in the future. The enthusiasm exhibited by our staff and attendees inspired many to want to learn more about social justice and diversity titles, how to introduce books about diversity to students, and how to get more involved in social action projects using literature. 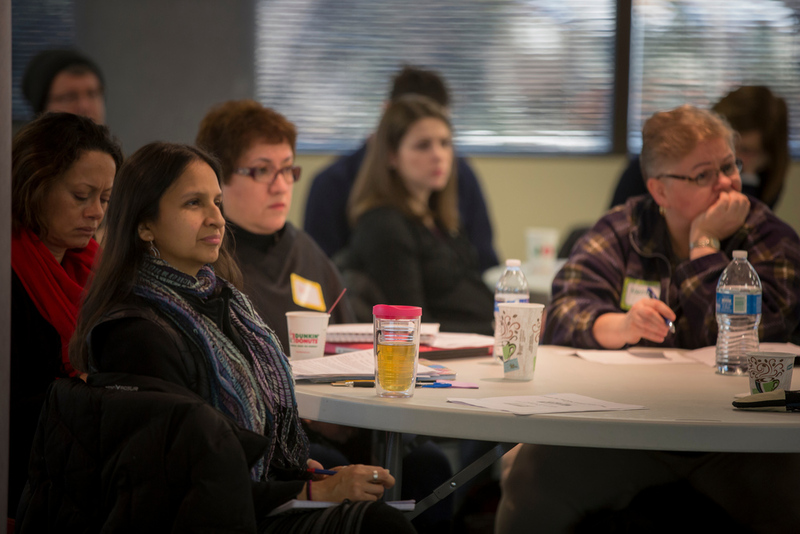 We kicked off 2015 on January 10th with the Picture Book and Visual Literacy Institute, co-presented by the Center for Teaching through Children’s Books and ESL STEM Success Grant! This exciting event featured keynotes from renowned literacy experts on stimulating topics and hosted open discussions and participatory roundtable debates focused on Caldecott and ELL. The event included lunch, as well as book browsing/purchasing! Topic: Reading the Visuals in Picture Books: Cultural Considerations: How is cultural representation in illustration analyzed, and how much does it matter in the evaluation of the book as a whole? What is the potential impact on children of the choices adults make regarding cultural representation in picture books? Topic: Pictures into Stories: I always begin with an image. From there a picture book story finds its way. In picture books there are two languages "spoken": words and images. I’ll talk and demonstrate through stories and images how they share, interweave and elevate oneanother. * In Admiration of Children's Literature…Selecting Picture Books and Investigating Illustrations for Visual Literacy Development: Picture books and their illustrations provide us with visual messages that often go beyond the text. Viewing a myriad of picture books. we will explore, visual thinking strategies, methods for close reading of illustrations and comprehend the differentiated messages picture books share with our students. - Laura Beltchenko, Literacy and Common Core consultant. * Mock Caldecott Roundtable Discussions facilitated by the Friends of the Center (librarians, teachers, reading specialists). * The Languages and Complexities of Wordless Picture Books: Developing Comprehension Strategies for English Learners (Grades PreK-12), Silent picture books offer open access to students of all linguistic backgrounds and second language proficiency levels through complex textual features, themes, and plots. Come step into the wonderful world of international, borderless texts that require the use of sophisticated comprehension strategies, while also providing safe spaces for creativity, playfulness, and critical thinking. - Dr. Ruth Quiroa, Associate Professor in Reading & Language at National Louis University. * Draw a Scientist: What Does a Scientist Look Like?, an action research project by members of the CPS STEM Success Grant ESL Endorsement Cohort, presented by CPS teacher Misty Richmond. 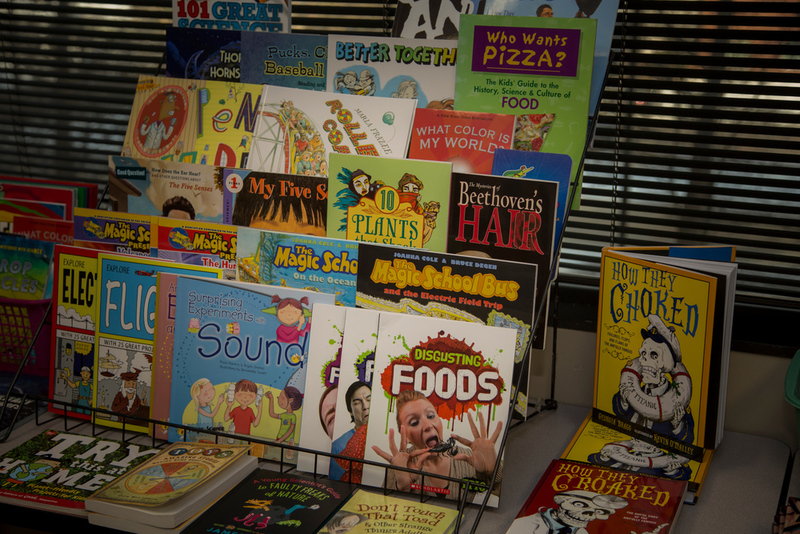 On Saturday, September 27th, 2014, the Center for Teaching through Children’s Books, in partnership with the Society of Children’s Book Writers and Illustrators, Illinois Chapter, and SCIRA (The Suburban Council of the International Reading Association), presented our 5th annual Local Author/Illustrator Showcase for the 2014-15 school year. On Saturday, April 12, 2014, the Center for Teaching through Children’s Books, in partnership with the ESL STEM Success Grant and the Suburban Council of IRA (SCIRA), hosted an exciting full-day nonfiction institute entitled “Teaching Through informational Texts.” The event was made possible by a generous grant from the Pajeau Foundation. Teachers, librarians, administrators and reading specialists alike gathered for an engaging and interactive day to learn from featured academic, Dr. Marc Aronson (historian, author, editor), as well as other keynote speakers from various backgrounds: Laura Beltchenko (Literacy and Common Core Consultant), Judith Fradin (author), Nick Glass (founder of Teachingbooks.net), Susan Dove Lempke (Booklist, Hornbook reviewer of children’s nonfiction), and Toby Rajput (CTCB librarian, 2012 Sibert Committee Member). The Center for Teaching through Children’s Books achieved its proposal to the Pajeau Foundation: to offer an institute that focuses on Informational Books and Common Core – relevant topics that have become more integrated into today’s youth education. From discovering new ways to build Common Core connections, to tutorials about innovative online text analysis tools, the day was undeniably insightful and inspiring. One attendee commented, “I couldn't have improved [the institute]. I don't think anyone will walk out of here the same person they were when they walked in today.” Indeed, the support, knowledge and enthusiasm from our attendees, speakers, and staff made the day a true success. The institute likewise gave us the opportunity to hand out evaluative surveys: to explore ways that we can attract a more diversified audience and to dig deeper into areas of interest for future events. Of those surveyed, our needs assessment revealed that a majority of people would like to see more coursework offered on interpreting the Common Core State Standards, topical nonfiction, and Children’s Literature (specifically Picture Books). Other noteworthy discoveries included a strong desire towards sessions that focus on utilizing international books in the classroom, and digital diversity with children’s books. The institute and its survey results made CTCB’s collaborative mission, which is our dedication to excellence in teaching with quality literature for children and adolescents, even clearer, as well as its relevance with children’s literacy today.